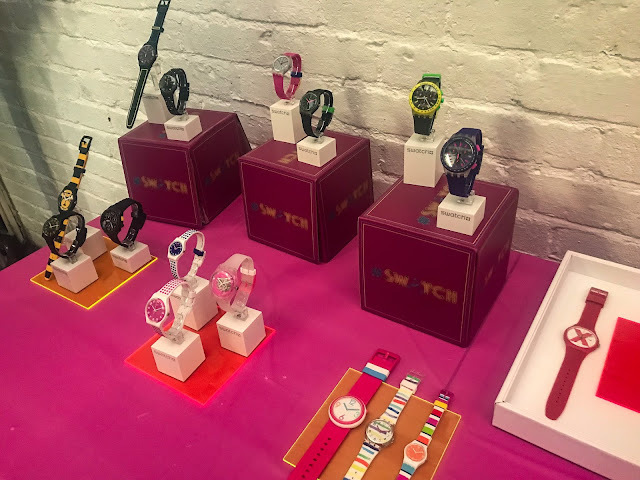 A few weeks back I was invited to check out the new NEON Collection by Swatch and learn how to Graffiti - and it was one of the most fun Blogger events I have been to for a long time, if ever!! 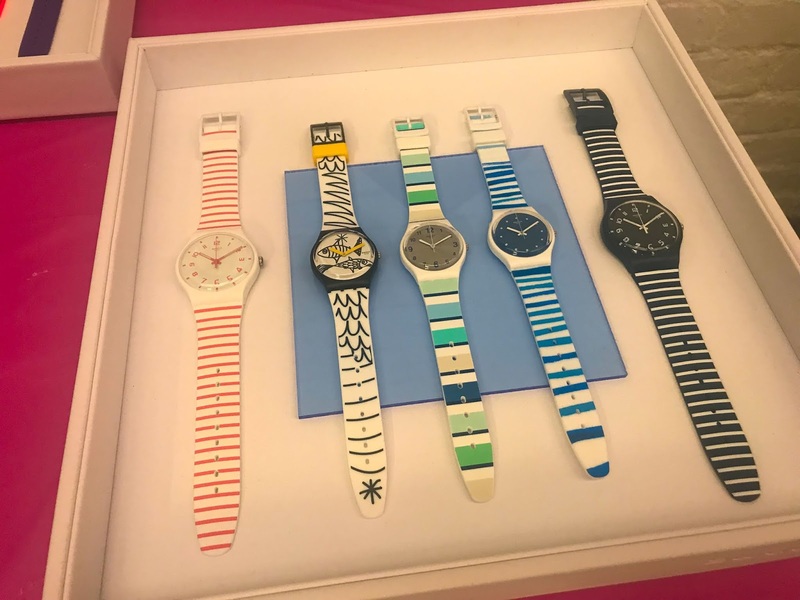 The new timepieces in the collection are gorgeous and perfect for summer and beyond. I am firmly in the 'my entire wardrobe is black' camp so I always enjoy a splash of colour to liven things up. 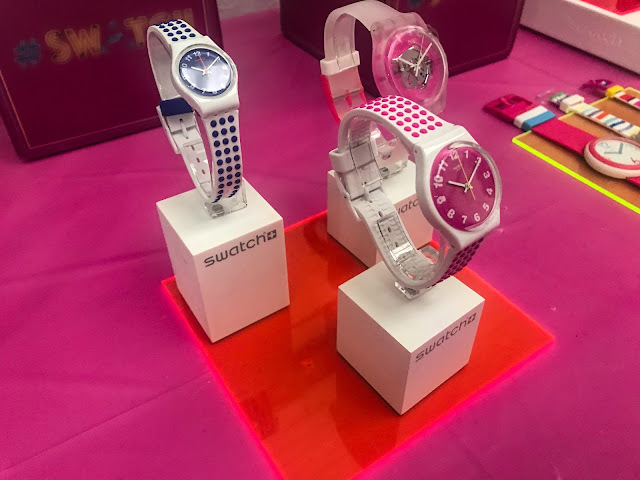 There are lots of variants of colour ways so definitely something for everyone in the collection. 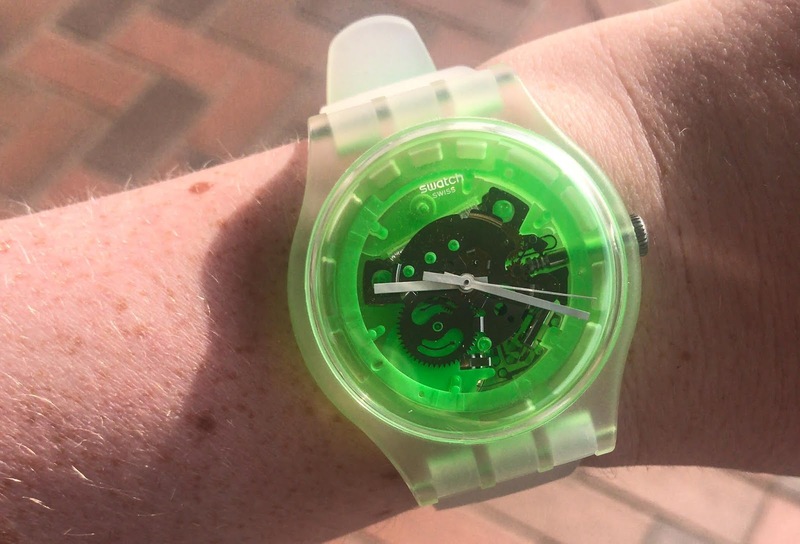 My personal fave was a matte frosted white/clear watch with neon green accents and visibility of the inner cogs within the face. There are 16 watches in the collection, ranging from £38 to £76. 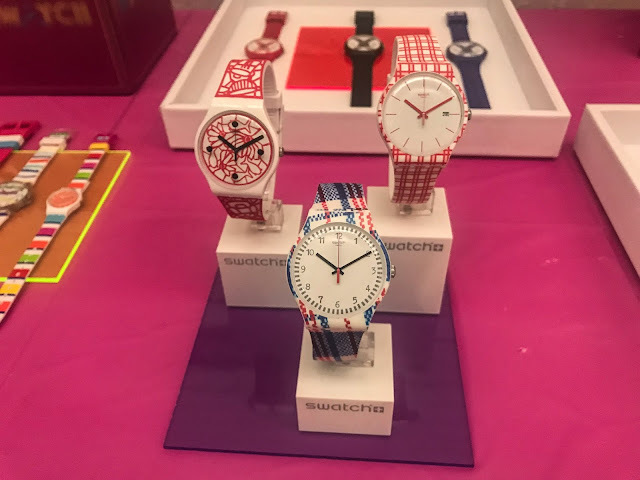 I always love viewing new collections and getting to see the latest looks hot off the press, but this part of the event was the stand out bit for me! I am creative and enjoy arts and crafts so learning something completely new is always a plus point for me. 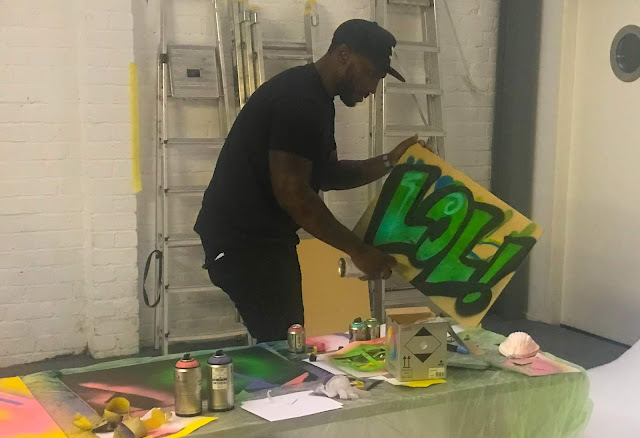 I have never used a spray paint can (I don't think!) 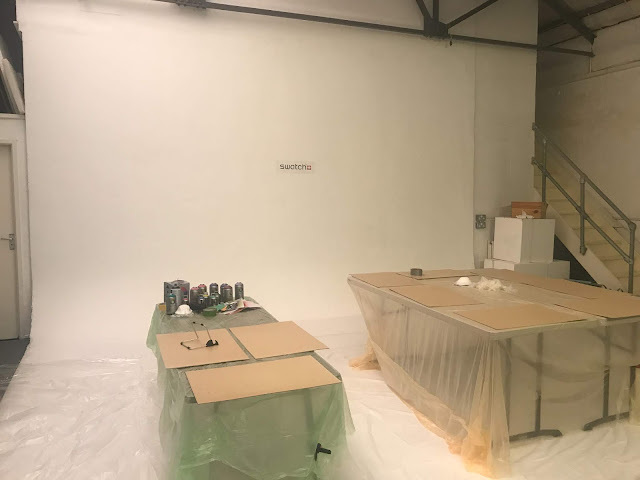 so being handed a blank board and lots of spray paints was great fun! 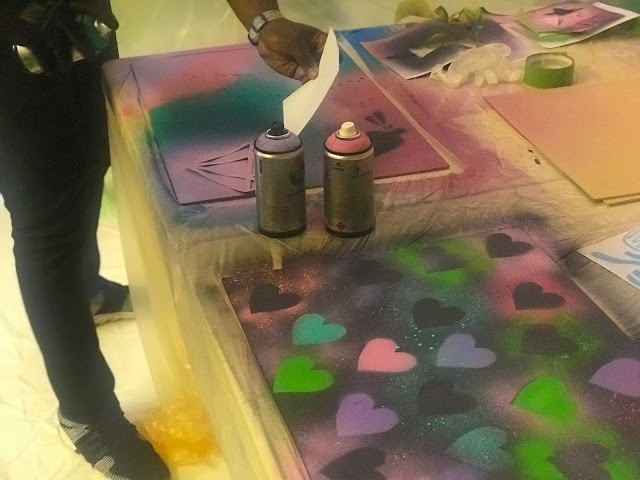 The workshop was hosted by Graffiti Stars and covered the basics of Graffiti and tips and tricks of how to achieve certain styles of painting. 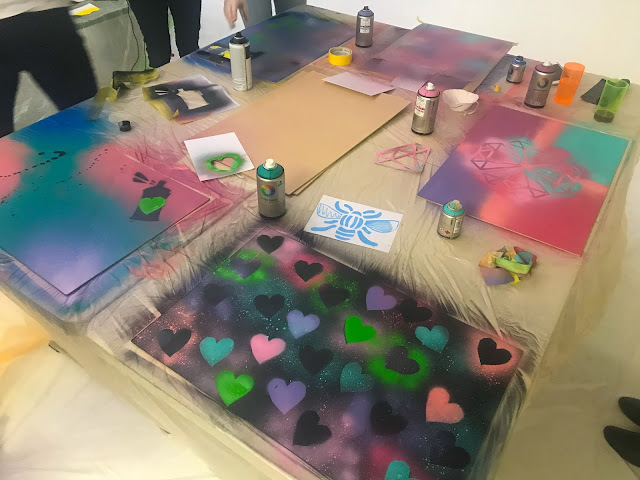 It is more difficult than you would think but we all had a great time creating our own masterpieces which ranged from Banksy style numbers, to my print style created with a template and a graffiti Chanel No5 Bottle - which I must say I was rather jealous of when it was completed! 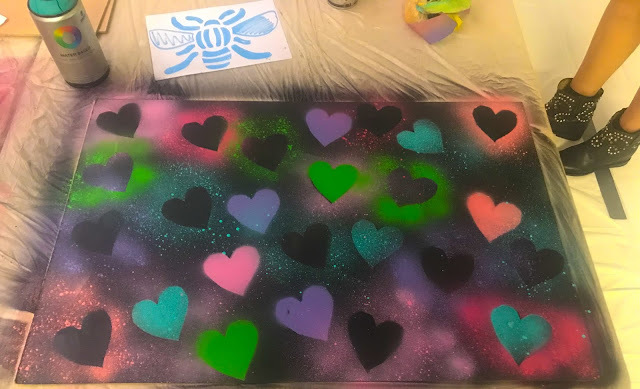 I decided that simplicity was probably sensible and made my own heart template to spray over/around - and it worked nicely I think! 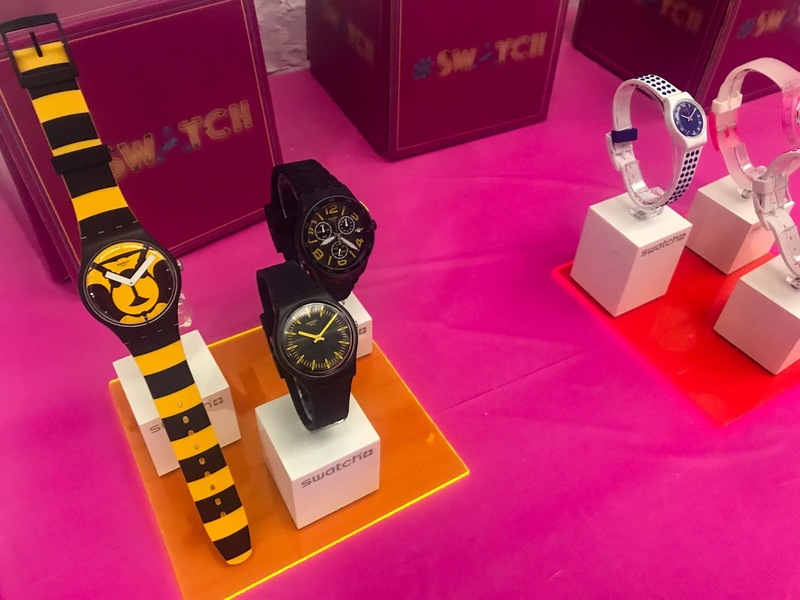 I had plans to try and make a Manchester Bee template but the lack of scissors meant that I couldn't make it work, but I definitely have plans to hit up hobby craft and make something involving bees!